A-Zippr is a simple, fast and powerful utility to open the zip, RAR and other archives like 7z, SIT, TAR, and 70+ different file formats and compress in 8 commonly used archive formats. 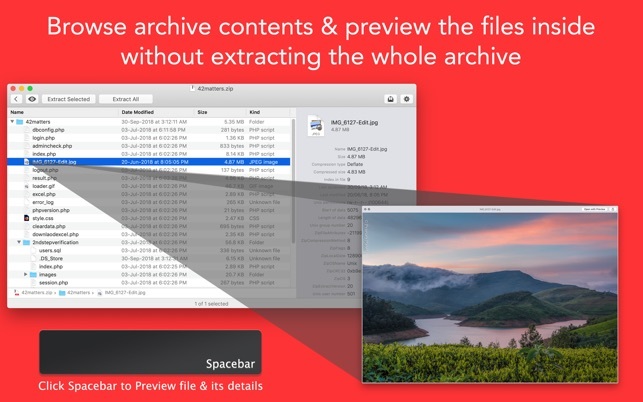 It is handcrafted to make it most customizable to archive and unarchive files on MAC. ■ Preview file details before extracting. 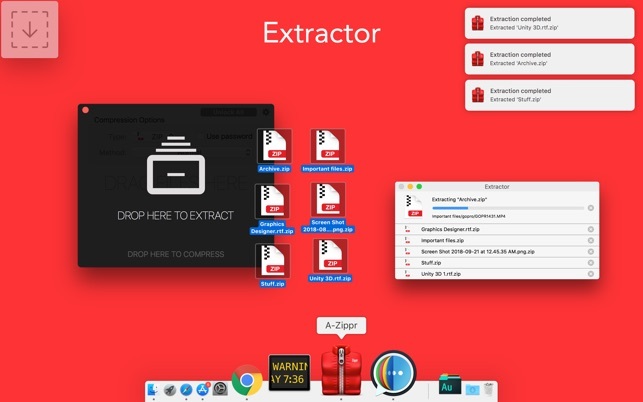 ■ Extract only files you choose without having to extract the entire archive. ■ Notifies once compression or extract completion. ◉ Resize file size for faster sharing and to reduce storage. ◉ Set floating drop window to any corner of the screen. 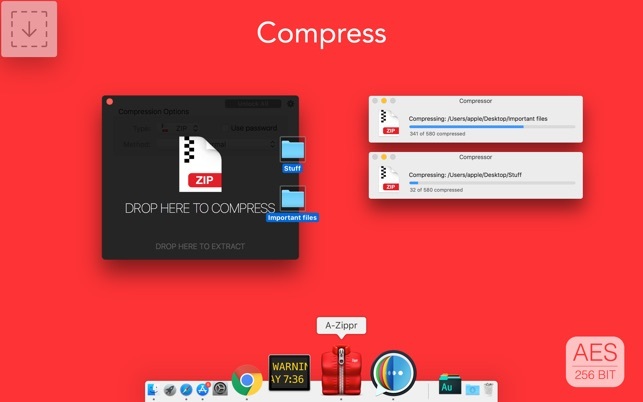 ◉ Compress files in the different method like fast, faster, normal, slow and slowest. ◉ Password-protect confidential files and apply powerful AES encryption. ◉ Encrypt individual files within a zipped folder. ◉ Unarchive individual files from an archived folder. ◉ Get detailed file information individually before unarchive. 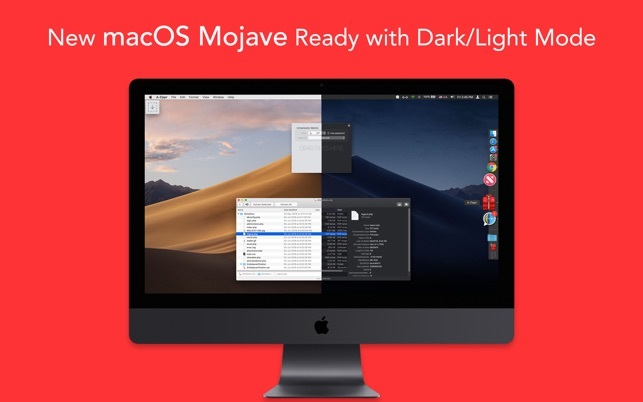 ◉ Native user experience to preview files. If you have any problem or suggestion, please email to support@appyogi.com without hesitation.